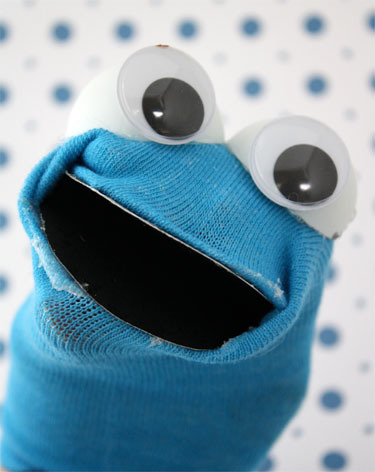 Even though the Muppets officially like to recognize Cookie Monster’s Birthday as November 2, it looks like it is also recognized on May 25, the birthday of Frank Oz, one of the famous Jim Henson puppeteers. 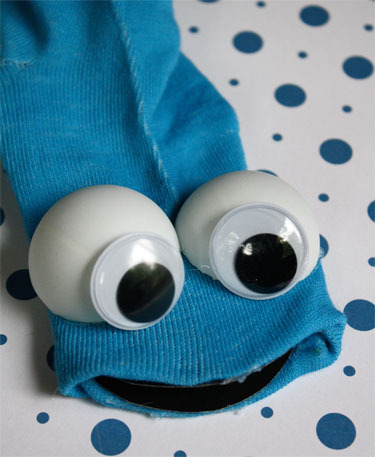 We think ANY excuse to celebrate Cookie Monster is a good one! 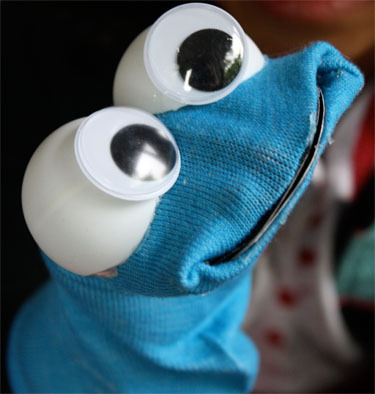 Celebrate this cookie lover by making your own Cookie Monster puppet! 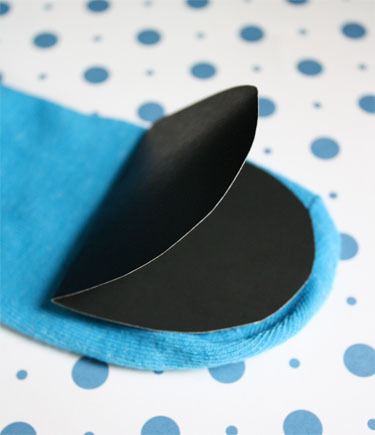 Cut a piece of black poster board slightly smaller than the width of the sock. Fold in half. Push in toe of sock and place black poster board inside. Glue with low temp glue gun. 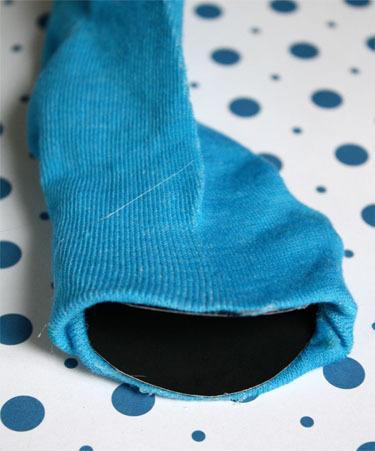 Cut ping pong ball in half and glue to top of sock. 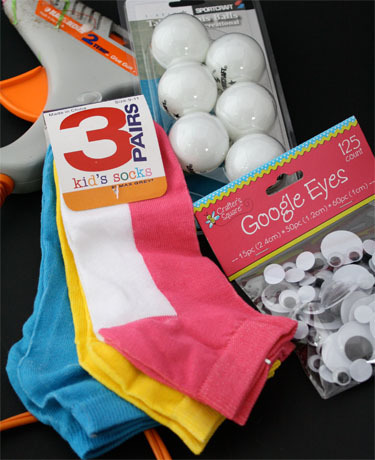 Glue google eyes to front of of ping pong ball or make eyes with a sharpie marker. 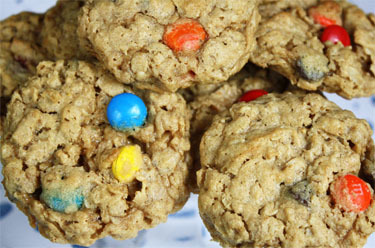 So you will want to make these yummy Monster Cookies. Bake for 8 to 10 minutes. Do not overbake. Let stand for about 3 minutes before transferring to wire racks to cool. Love it! definitely one for a rainy day! Very creative. I love the puppet and I am sure my son will as well. Thanks for the easy walk through! 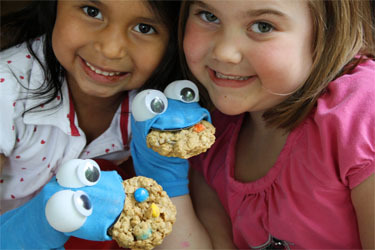 So cute I just want to eat one (the sock puppet and the cookies. That is super cute! My little guy would squeal with delight! Love love love it! Totally going to do this! Thanks! 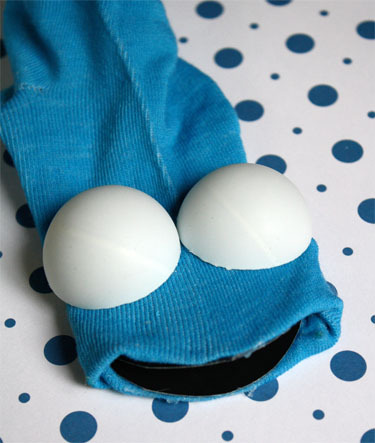 How to Have a DIY Cookie Monster Birthday Party - Baby Savers!